The cleaning industry in general is huge and worth billions of dollars. Domestic cleaning is a significant slice of the overall market. For example current estimates suggest that domestic cleaning is worth about $3 billion per year in the UK alone and that the sector is continuing to grow. One reason this sector is growing annually is that more and more people have demanding careers – women as well as men. There is also more disposable income now, and people are less inclined to clean their own homes. There is also far greater focus on leisure over domestic responsibilities (the live hard, play hard ethos). There is also a marked increase in the population that is aging. As people age, they loose not only their interest in maintaining show-ready homes but also the physical abilities to keep up the strenuous work required to do so. Home cleaning help is becoming a necessary, and less of a symbol of class and privilege. It seems that cleaning services are always in high demand, even in recession times, with many clients regarding help with the cleaning as a necessity rather than a luxury. For most people, the daily grind doesn’t inspire them to do the household chores when they get home at the end of a stressful day. So, who needs your services? Today’s professionals often work long and stressful hours, with little time for leisure and relaxation, leaving no desire to spend what little free time is available cleaning the house. Commuter towns or residential areas close to city centres are a rich source for this type of client. Usually living in affluent areas, this group has larger than average disposable income and are the kind of people that would admit they enjoy being pampered. They are normally highly sociable people, which is beneficial in spreading your reputation. For obvious reasons this group may find it difficult to carry out the cleaning on their entire property, so need a helping hand with some of the more heavy tasks. 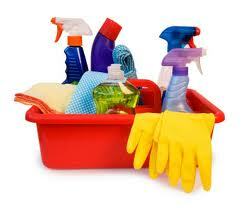 Many older clients also like to have a cleaner because it provides them with a bit of company. Notoriously uninterested in the cleaning process, single men are a good source of clients. This part of the market is large, however opportunities for custom may be harder to find as disposable income can be lower here. It is also worth noting that young mums will usually have a network of friends that are also young mums, so it may be possible to boost your reputation and gain promotion through word of mouth. A lucrative sideline to regular cleaning are one off cleans. Typically tenants of rented property require this service at the end of the rental period in order to secure return of deposit monies held by estate agents. In general if you offer quality service, operate with integrity, and charge reasonable prices, you’ll be a success in a domestic cleaning service business.